Wednesday 12th and Thursday 13th September 2018 at The Nottingham Conference Centre. 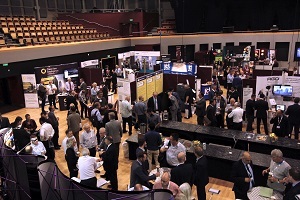 The 2018 Symposium was held at The Nottingham Conference Centre on the Wednesday 12th and Thursday 13th September 2018. The format of the event was the same as in previous years and included a Symposium programme filled with topical presentations, a specialist Exhibition, and plenty of opportunities to catch up with old friends and colleagues and network with new contacts. The MOVA User Group was also be held at the Conference Centre on Tuesday 11th September. The Symposium & Exhibition runs over two days, and is usually preceded by the MOVA user group. It mixes conference style papers, the principal manufacturers, networking opportunities and organised social events in the evening. 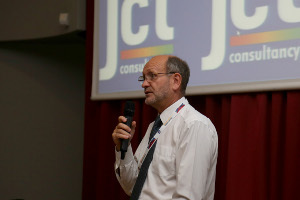 As far as content goes, the emphasis is on the signals community itself and JCT seeks submission of papers and presentations from working signal engineers, manufacturers and suppliers. 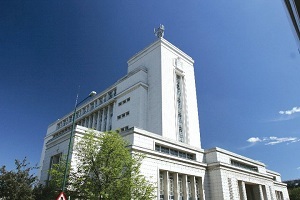 The broad appeal of the programme means that papers are also welcome from policy makers, interest groups, and academics. If you would like to share your experience with the signals community then please let us know and we will do everything we can to help you including subsidising attendance at this event. The treasure hunt prize this year was a drone. Copies of selected papers to download will be available here shortly. Brian is the Senior Engineer leading a project in Greater Manchester on behalf of the Commissioner for Cycling and Walking (Chris Boardman) at the Greater Manchester Combined Authority. Brian will focus on innovations in signal design and promote a technical discussion on how Manchester can deliver better junctions for cyclists. Sally will introduce the new Chapter 6 which will mark a significant milestone for advice in traffic signals, bringing together DfT advice on Traffic Control into one easy to use document. Anthony will give an overview of a public transport priority system (TRANSnet) being implemented which utilises the SCATS (Sydney Coordinated Adaptive Traffic System) traffic signal control system and GPS bus tracking information. The paper will discuss the trials with trams which is being conducted with ARRB (Australian Road Research Board), LaTrobe University and Yarra Trams and with buses which is being conducted with PTV (Public Transport, Victoria) and Bus Operators. The type of signal priority being implemented will be discussed. The Mayor’s of London’s Transport strategy sets out a clear direction to improve the quality of streets in London and improve the health of Londoners, in doing so. Helen will set out what this approach is, and the role that London’s urban traffic control system can play in enabling this vision. Joseph will outline an innovative trial that has taken place on Putney High Street to directly tackle poor air quality through a very different approach to traffic management. He will share results from the trial and summarise what TfL has learnt through this project. Thomas and Emma will present a collaborative paper from WSP, Rotherham Borough Council and Motus which will examine the use of the MOTUS morph unit running MOVA M8 and using Bluetooth data to show before and after results. Formerly TfL's Surface Transport's Head of Network Performance Tony joined Main Roads in Perth in 2014. Over the last four years he has assembled a team of highly trained and motivated engineers and set an ambitious programme to improve the performance of Perth's networks. His systematic approach and concentration on performance outcomes means his rolling programme is delivering real and measurable results. Tony will give the Symposium audience an insight into Perth's work, share details of his methodology and layout his future vision for Perth to become a world class Network Operator. Margaret will present the decision making strategies for configuring the automatic bus priority via the Dublin Public Transport Interface Module (DPTIM), and results from various locations in Dublin City where centralised bus priority interventions are applied. Additionally, Margaret will present various reports, data visualisation, and dashboards utilised by the Bus Priority section of Dublin City Council. Mark and Jack will describe using priority extensions in MOVA to optimise timings for HGVs. ITS engineers develop technology and solutions that control road traffic and other transport modes. Technology such as adaptive traffic signals, smart motorways, real time public transport information systems can help improve the efficiency and reliability of the transport networks. Automotive engineers develop detailed models and simulations of the vehicles and the interaction of components within a vehicle power train. They aim to optimise the vehicle designs for safety, comfort and cost. The collaboration between these groups has been limited but this is changing fast and there are many benefits that such collaboration can create for the transport infrastructure, the manufacturers and ultimately the transport users and the environment. Rik Andrew is passionate about cycle safety and will share his views on how we can improve junctions and reduce cyclist and pedestrian casualties. Nick will assert that detector faults (that can lead to faulty timings) can go undetected and unreported. Emissions ‘bottom out’ from about 20 mph upward and at 10mph, emissions are nearly doubled. So, if a faulty (unreported) detector increases congestion because of poor performance of the junction, it is worth investigating. In his trial (over a 2 week period) turning counts, queue lengths and journey times were measure. For four of those days an on-crossing detector was set to ‘faulty’, and the effect on traffic, particularly for emissions was analysed using Aimsun. Results will be shared at the Symposium. Hannah and Jacky will give their thoughts on how signal modelling can be made more accessible to a wider audience and will demonstrate this through case studies. They will discuss how when results are conveyed to the public and planning committees it is often very difficult for the technical results to be translated into relatable and understandable terms. They will suggest that it may be better to focus on travel time savings and the economic benefits which ensue and quantify proposed mitigation in a more understandable format. Greg will discuss the very latest developments in AGD's new generation of smart detectors and Chris will present the results of deployment in the real world. Local lore has the first traffic jam at the Bascule Bridge in Lowestoft being recorded in 1830. Suffolk County Council is developing a novel approach to alleviating the traffic issues around this long standing historical pinch point. Normally the junctions and pedestrian crossings in the area run in a daytime SCOOT configuration with time of day variation complemented by tidal flow running on the bridge. When the bridge opens to shipping, major congestion is experienced in the area. By using a combination of variable message signs and controller plans to remove demand from the area the impact of the bridge being closed to vehicles is minimised. When the bridge is re-opened to traffic, recovery strategies are run to clear residual congestion, before returning to SCOOT operation. This paper discusses the use of crowd source data, implementing different strategies and testing their effectiveness to be utilised as an additional trigger. Sandra and James will present new technology for Traffic Light Controllers based on real-time and predictive data fusion models, resulting in a higher throughput at the intersection and a better match with local policies. Using this new approach they will suggest how cities can already recap the benefits from this novel technology and be better prepared for the connected and cooperative future. The cost of installing and maintaining detection at Traffic Signals can be prohibitive for many Local Authorities, which can strongly affect the efficiency of their traffic signal networks. Jackie’s paper offers a range of alternative methods that can be adopted for SCOOT sites in order to provide the SCOOT model with the data it needs to model effectively. Dan will describe a large scale project which links seven junctions together using MOVA using innovative logic. With individual vehicle data becoming more widely available, the Aurora Arctic Challenge project in Finland provides a first glance at how in-vehicle services perform and provide benefits to road authorities and users under winter conditions. Emerging central ITS platforms are positioned to link traffic management centres to road users to provide real-time services which focus on enhancing safety and traffic flow. Together with research partners and the Finnish Transport Authority, Dynniq has been testing services in sub-zero conditions to provide learnings on the operation of these services on a key logistics corridor between Norway and Finland. Results of testing and a first public demonstration share insight on how such services can be tested in both urban and inter-urban environments in the UK, following initiatives such as Intercor and the ITS-Corridor projects. Making London’s streets healthier in terms of transport involves a raft of changes and investment. TfL’s annual traffic signal timing review programme is reducing delay rapidly and cost effectively for people who chose to take the bus, walk or cycle in London. These incremental and localised benefits are now reported through a new performance measure on Transport for London’s scorecard as one of the metrics which measures success in delivering the Mayor’s plans for healthier streets. Wissem will outline the new approach to undertaking signal timing reviews in London, with a focus on how to benefit sustainable modes, and Heidi will outline a brand new approach to calculating and reporting on the benefits achieved. Keith is the current chair of Traffic Open Products and Specifications (TOPAS) and Adrian the vice chair. They will share with the symposium the current work being undertaken by TOPAS and give an overview of future work. Ian Routledge Consultancy are renowned for innovation in ITS. Peter and Rob will share a sample of the innovations in signal design and control across a range of projects over the last twelve months and give a hint at what is to come. Mark will introduce the Association for Road Traffic Safety and Management and its work in influencing technological developments and improving standards in traffic engineering operations. Paul and Chris will describe a project running under MOVA complete with VMS and Overheight Vehicle Detection. The operation of the shuttle uses an old but highly effective system used across Cambridgeshire. Martin will share with the Symposium audience Siemens’ latest approaches in ITS. In partnership with Dynniq, Kirklees have been deploying Virtual Emissions Monitoring (VEM) and are planning to use these data to drive UTMC strategies to improve air quality. The Symposium has had a parallel exhibition for many years and features the main companies working in traffic control. Entry to the exhibition is free for Symposium delegates. As in previous years the Symposium was sponsored by several major companies from the traffic control industry. Once again, Siemens generously sponsored the main Gala Dinner on the Wednesday evening.